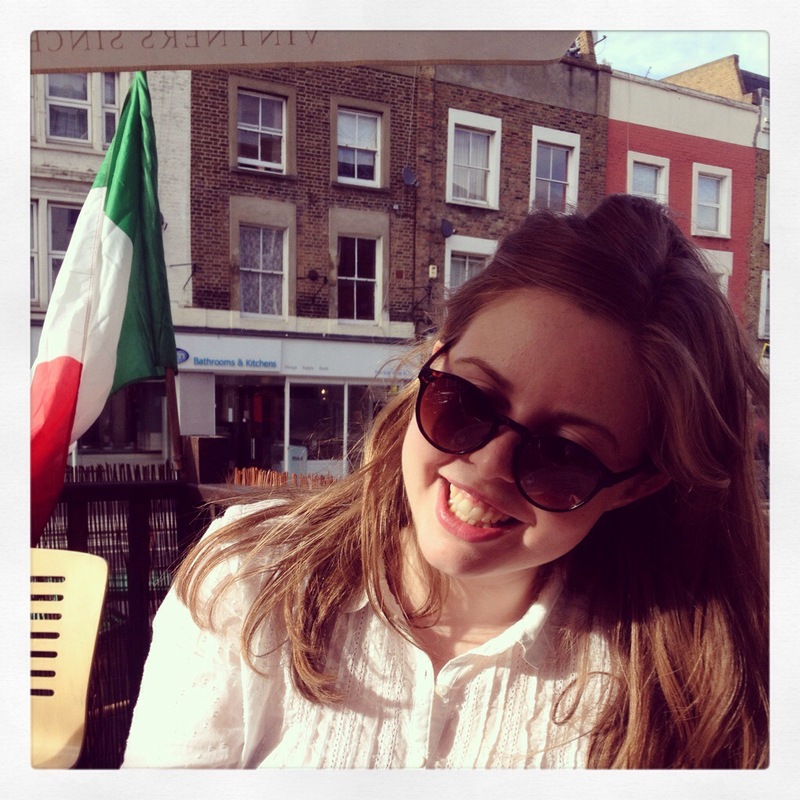 Do you like hearty Italian food, reasonably-priced wine and supporting local businesses? Of course you do! 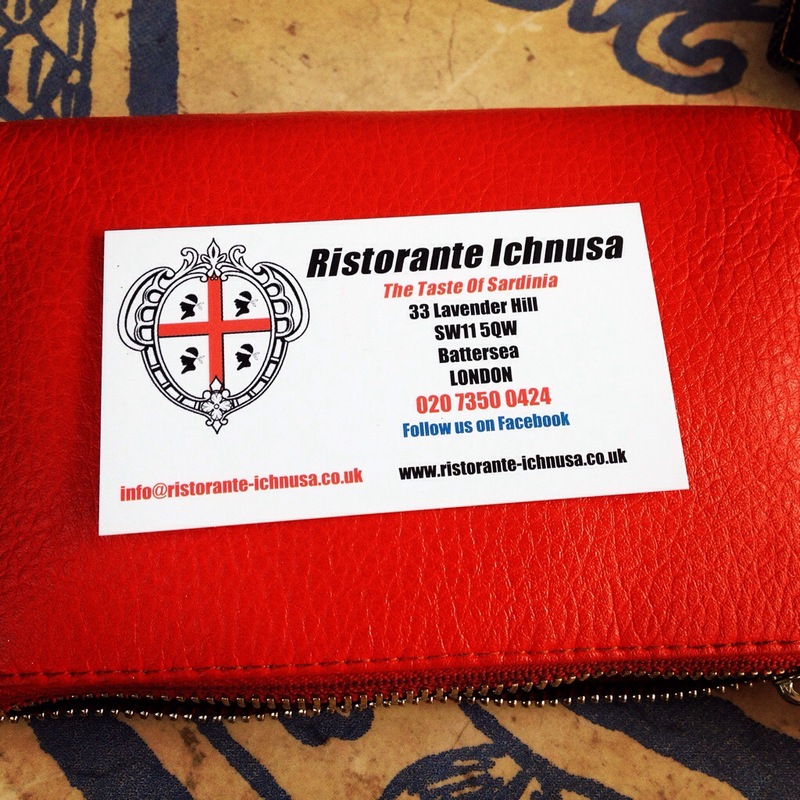 Ristorante Ichnusa is a Sardinian restaurant I stumbled across on my travels around Battersea. 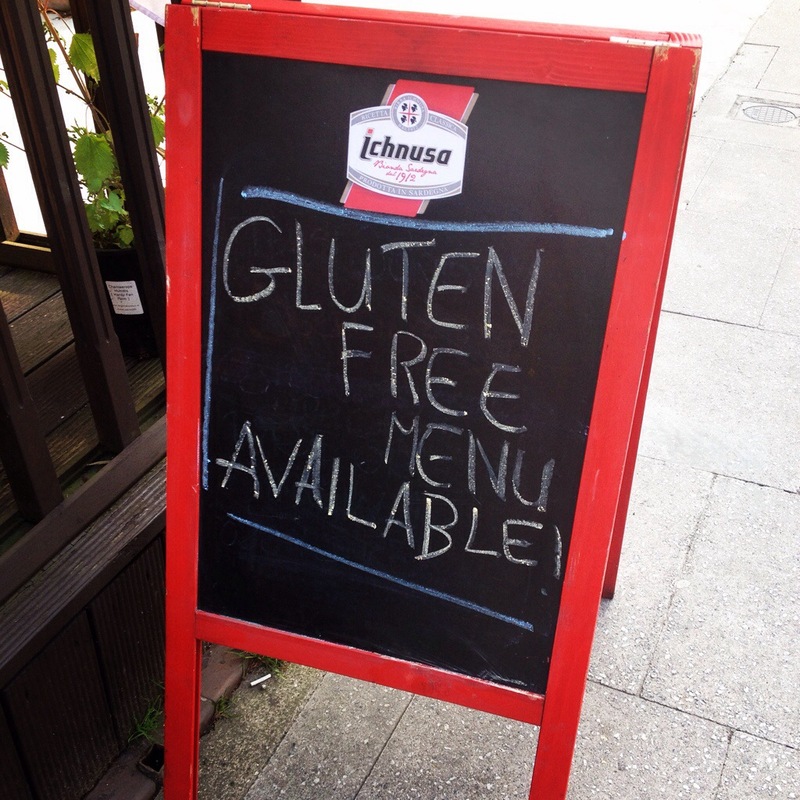 I noticed that they had a sign outside proclaiming that they offer gluten free options (restaurants – this is a good thing to do), and after an encouraging chat with the manager Alberto, I vowed to pay them a visit. 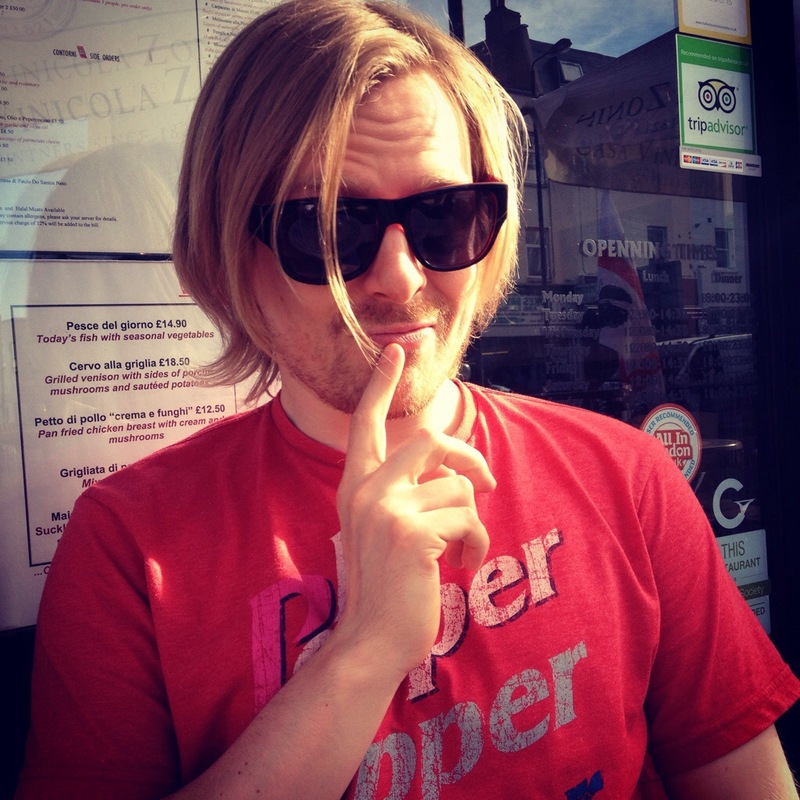 The restaurant is located on Lavender Hill, a pleasingly-named stretch of shops, cafes and bars (and about 10 million estate agencies) in Battersea. Upon visiting the restaurant, I was immediately impressed by three things. 1. They provide gluten free pasta and bread at no extra cost. 2. They are willing to adapt any of the meals where possible to be GF (with advance notice). 3. I wasn’t made to feel like an inconvenience for asking about gluten. 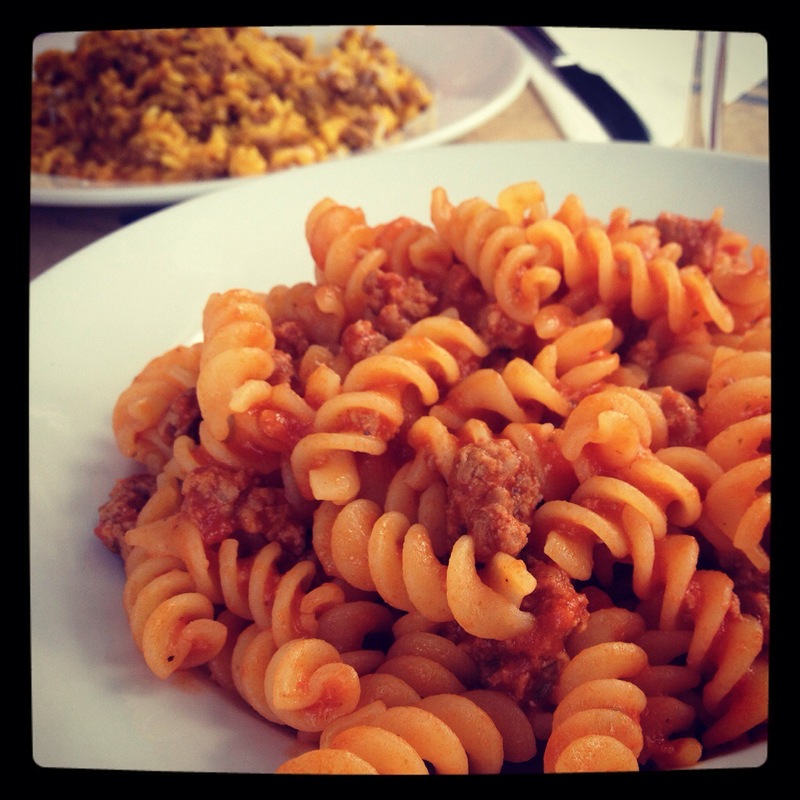 I ate the Malloreddus Alla Campidanese, which is ‘Classic Sardinian pasta with tomato, fresh sausage, saffron and pecorino cheese.’ I rarely order pasta dishes at restaurants as I make them so often at home, but this was a real treat. D had the Risotto Vegetariano, a hearty risotto with fresh vegetables which he declared to be scrumptious. We washed our meals down with nice and incredibly reasonably priced wine. For a very un-plonk-like 175ml glass of red or white wine, they charge just £3.50. This is unheard of in London. They also have a nice selection of Italian beers and classic cocktails. We enjoyed sitting outside and watching the life of Lavender Hill go by. With the closest stations (Clapham Junction and Wandsworth Road) a longer-than-10-minutes-walk away, it is a little off the beaten track, (though on a major bus route – for better and worse) but this does mean it is a bit more peaceful than the rugger troughs further down the road. 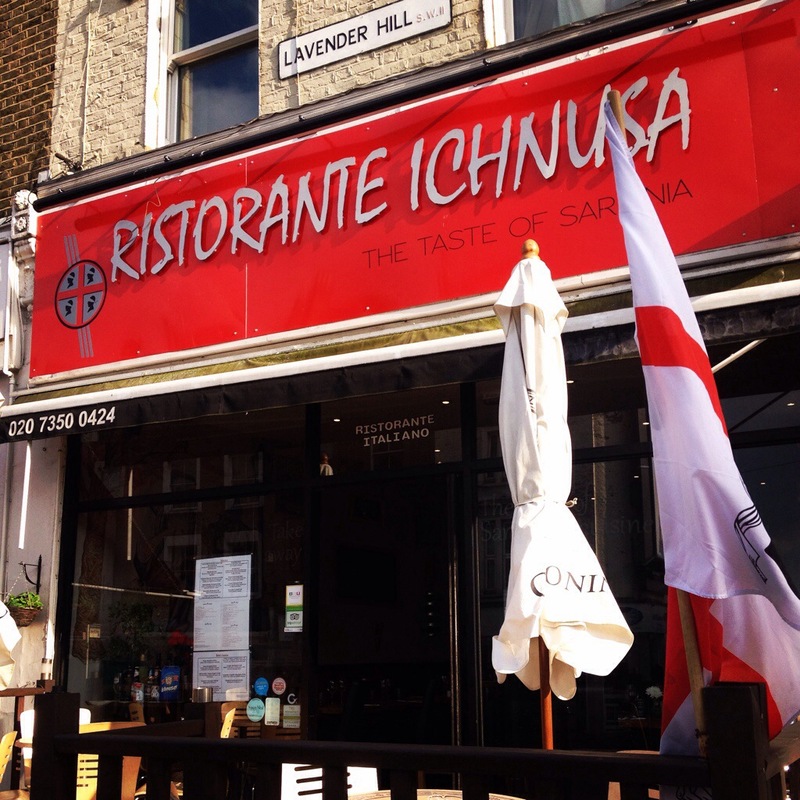 If you are local or seeing a show at the nearby and wonderful Battersea Arts Centre, consider checking out Ristorante Ichnusa for some tasty food and a place to drink wine and unwind. There is nothing wrong with the much-loved Italian chains around London, but occasionally it is nice to go to the sort of place that not only offers pasta, but also rabbit, venison and suckling pig. You don’t get that at Pizza Express. Visit Ristorante Ichnusa’s website here, and their Facebook here. Want more Battersea / Clapham Junction recommendations? Check out the local gluten free crepes and gluten free pizza and don’t forget to subscribe! Previous PostFlat Iron: Best Steak in London?